Share this product and receive a $6.49 sharing discount. This very special framed pewter ornament is a lovely gift for any occasion. 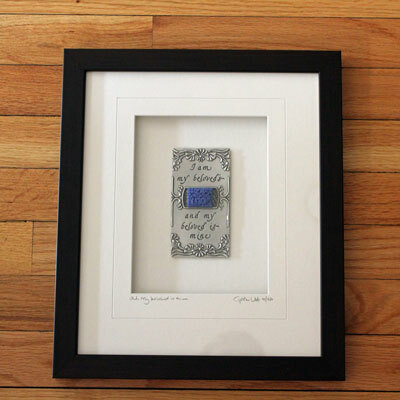 This pewter ornament has been framed with an acid free mat, signed and titled by the artist. This particular piece has a blue flower Japanese Glass Bead and is numbered as it is a limited edition. The frame size is 13" x 11". The back has a hanger. 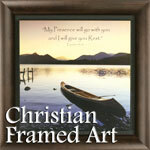 The mat is cream and the frame is dark wood finish.